Virtual reality has quickly become one of the hottest trends in consumer marketing. 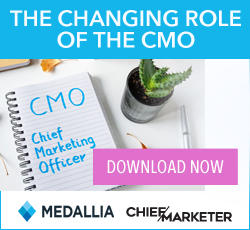 Audi, Coca-Cola, Marriott and even IKEA have dipped their toes in the water and created immersive marketing experiences. But how does this new technology apply to the far more convoluted B2B marketing process? The key to B2B marketing is driving customers through the sales and marketing funnel. The most important stage is evaluation. The customer has already decided to make a purchase but must choose whether to buy your product or the competition. It’s at this crucial moment where virtual reality can help your product stand out. With virtual reality, your customers can see your product up close and personal to see exactly why it’s superior. It’s like a trade show, a site visit, and a marketing presentation rolled into one. Using social presence, you can talk with your customers in the virtual space and interact with them as if you were together in the same room. During product demos, you can bring in experts from your engineering team to answer questions. And you can even bring in your sales team to close the deal with a virtual handshake. This is like a webinar on steroids. 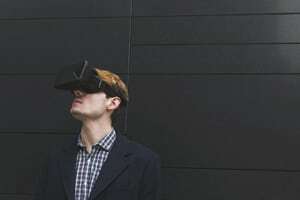 Rather than a disembodied voice speaking over a slide deck, you can walk your customers through a virtual reality presentation that feels just like an in-person seminar. You can bring in 3D visuals, change the environment, and actually have a real back-and-forth discussion about customer needs. But the best part about virtual reality, is that the effectiveness of a simulation can be measured in real time. Virtual reality analytics can determine what product a customer is most interested in, what parts of the presentation are most engaging, and which customer seems most likely to buy. Matthias McCoy-Thompson is COO/co-founder of Agora VR. **This article was originally published in November 2017 and is updated frequently.